Nearly 60% of real-estate sales in the Greater Miami area last year were to overseas buyers. The figure jumps to 90% for sales of newly-built condos. At ONE Sotheby's International Realty, we don't believe in sitting back and waiting for buyers to find us. We believe in action - actively seeking the right clients for our listings. 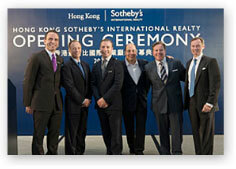 2010 and 2011 marked the start of ONE Sotheby's International Realty's global expansion. During the past two years, we have taken "We speak their language" to a whole new level. We have coordinated numerous international events to promote our exclusive developments and portfolio of luxury properties. During these aptly-named "Miami Weeks" agents from the company traveled around the globe to meet and greet other Sotheby's affiliates. 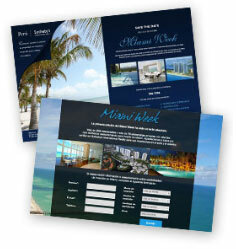 They coordinated trainings and seminars providing updates about the Miami market, they hosted special cocktail events and most importantly met one-on-one with pre-qualified clients interested in buying in Miami. The results? 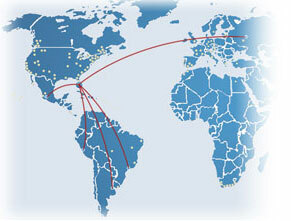 A continuous flow of referrals from our international affiliate offices. With Miami currently serving as a very strong market for Brazilians, agents from ONE Sotheby's International Realty in Miami decided to travel a week to Sao Paulo to meet with prospective clients. Miami has buyers from all over world, however, since the second quarter of 2010 the Brazil market has become one of the strongest in South Florida. The cost of living is increasing in Brazil, making Miami a very attractive market. To take best advantage of this opportunity, a group of ONE Sotheby's International Realty agents coordinated a trip to Sao Paulo (June 13th to the 17th, 2011), which was sponsored by several Miami real estate developers. The agents spent the first day training the Brasil, Sao Paulo SIR team on the Miami market and how the real estate process works, then had approximately 50 back to back client meetings the remainder of the week. 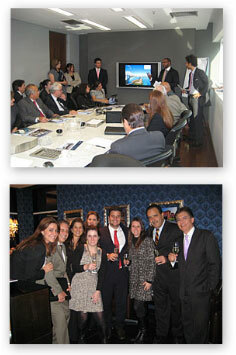 As a result of the success, ONE Sotheby's International Realty also coordinated similar events in Argentina and Peru. Since "Miami Week" in Brazil was such a success we decided to implement the same model in Argentina and Peru. In the fall of 2011 agents from ONE Sotheby's International Realty traveled to Buenos Aires and Lima to host "Miami Week." During the five-day events, agents hosted a press conference in each city where they were interviewed about the recent trends in the Miami marketplace. Reporters featured cover stories in La Nacion, La Gestion and El Commercio about the international demand in Miami particularly from South American countries. The agents had the opportunity to meet with local real estate associates and potential clients to present various properties. The Hong Kong Sotheby's International Realty affiliate opened it doors in October 2010 and agents from ONE Sotheby's International Realty were there to celebrate the inauguration. During that same week, the Sotheby's Auction House hosted their annual Autumn Sales Preview & Exhibition in the Hong Kong Convention Centre. Agents from ONE Sotheby's in Miami, not only had the opportunity to attend the local affiliate's grand opening event, but they were also able to participate and exhibit their properties in a Sotheby's booth during the Auction House events that attracted more than 20,000 local visitors.